Radiantly Alive Yoga Studio in Ubud, Bali was founded in 2012. Five years later, the studio has enchanted the hearts of over 100,000 visitors. In late 2016, the studio came under the ownership of Rafael Corrochano and Jasmine Dañino. Captivated by the magic that is Radiantly Alive and Ubud, this husband and wife team are committed to continuing Radiantly Alive’s legacy of yoga, healing, and community, creating a home away from home for the thousands of people that visit every month. Rafael is an entrepreneur, philanthropist, husband and father (though not necessarily in that order :). After a decade of putting his strategic mind and big heart to use in impoverished countries around the globe, he followed his heart and went back to his beloved Peru. While back home, he fell in love with Jasmine and married her. After discovering yoga, Jasmine decided to follow her intuition and to dedicate her life to what really brings her joy. She was the main force behind their move to Ubud and finally owning Radiantly Alive. Little angel Luna joined the family on the afternoon of January 2nd 2018, the day of the first full moon of the year. Nothing would be possible without our amazing team that supports us in the reception, housekeeping and office. We love you all! ROLL & RELEASE by James M.
Radiantly Alive Yoga is a registered school with Yoga Alliance. Our teacher training programs are internationally accredited, have exclusive recognition and qualify for both 200h or 500h Yoga Alliance Registration. The one month intensive includes 26 days of training with one day off per week. The combination of in class, contact hours together with out-of-class non-contact hours (prerequisite reading, reports and home’ play) totals the hours at 300+. Yoga Alliance requires 200 hours for basic teacher training registration. Yoga Alliance is an international governing board for yoga teachers and training programs in the United States and the rest of the world. 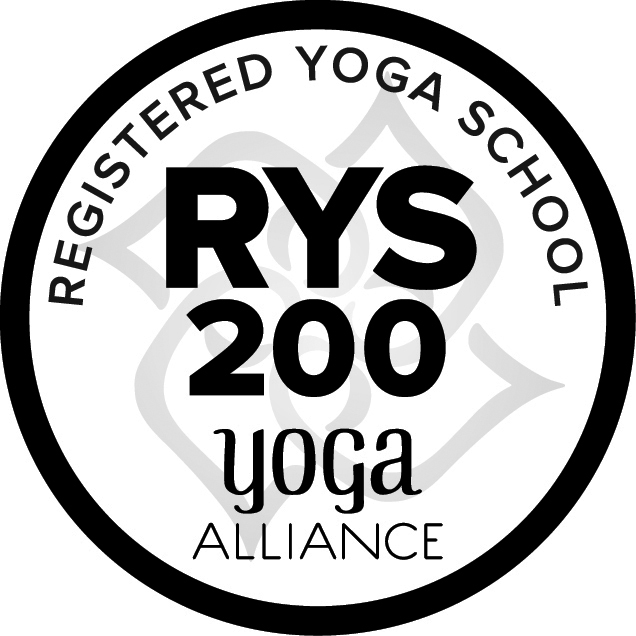 Graduates of our program who have demonstrated an understanding of the material and complete all requirements will be eligible to register as a RYT (Registered Yoga Teacher) with Yoga Alliance. Becoming a RYT increases your status, brings you international recognition as a yoga teacher and optimizes your opportunities for employment as a yoga teacher worldwide. The local community in Ubud, Bali, is where we work, live and play. Karma cycles shift particularly fast in Ubud so we make sure our commitment to spreading Radiance is felt throughout the community. In particular our long-standing relationship with Sari Hati School receives a charity of 100% of the proceeds of all of weekly donation based classes and special events. Experience the gift of giving and join weekly community yoga classes by donation only. Sari Hati School is a home in Bali that provides education, care, and love for children with mental and physical disabilities such as autism, down syndrome, and more. Their goal is to teach the children basic self-help skills, such as hygiene and food preparation, so that they can eventually gain some independence.